Are you tired of the cold and dreary weather? Many people around the world experience some form of the “winter blues”. So until spring arrives what can you do in the meantime to beat the “blues”. You may likely be feeling lethargic, irritable, restless, or depressed or what may be just sadness or S.A.D. That’s Seasonal Affective Disorder, which affects many people around the world in the winter months. At one time it was considered a mood disorder in which people that who have normal mental health throughout most of the year experience depressive symptoms in the winter or summer. Lifestyle factors may play a role in depressed moods such as poor diet, irregular sleep, and lack of exercise. If you do not have travel plans to fly south do not despair, there are solutions to get you through these dark days. One way is though light therapy, a common therapy for those affected with S.A.D. According to Avery, D. H.; Kizer, D.; Bolte, M. A.; Hellekson, C. (2001). “Bright light therapy of subsyndromal seasonal affective disorder in the workplace: Morning vs. Afternoon exposure”., There are many different treatments for classic (winter-based) seasonal affective disorder, including light therapy, medication, ionized-air administration, cognitive-behavioral therapy and carefully timed supplementation of the hormone melatonin. Photoperiod-related alterations of the duration of melatonin secretion may affect the seasonal mood cycles of SAD. This suggests that light therapy may be an effective treatment for SAD. Light therapy uses a lightbox which emits far more lumens than a customary incandescent lamp. Bright white “full spectrum” light at 10,000 lux, blue light at a wavelength of 480 nm at 2,500 lux or green (actually cyan or blue-green) light at a wavelength of 500 nm at 350 lux are used, with the first-mentioned historically preferred. Bright light therapy is effective with the patient sitting a prescribed distance, commonly 30–60 cm, in front of the box with her/his eyes open but not staring at the light source for 30–60 minutes. Winter depression is a common slump in the mood of some inhabitants of most of the Nordic countries. It was first described by the 6th century Goth scholar Jordanes in his Getica wherein he described the inhabitants of Scandza (Scandinavia). Iceland, however, seems to be an exception. A study of more than 2000 people there found the prevalence of seasonal affective disorder and seasonal changes in anxiety and depression to be unexpectedly low in both sexes. The study’s authors suggested that propensity for SAD may differ due to some genetic factor within the Icelandic population. A study of Canadians of wholly Icelandic descent also showed low levels ofSAD. It has more recently been suggested that this may be attributed to the large amount of fish traditionally eaten by Icelandic people, in 2007 about 90 kilograms per person per year as opposed to about 24 kg in the US and Canada, rather than to genetic predisposition; a similar anomaly is noted in Japan, where annual fish consumption in recent years averages about 60 kg per capita. In the United States, a diagnosis of seasonal affective disorder was first proposed by Norman E. Rosenthal, MD in 1984. Rosenthal wondered why he became sluggish during the winter after moving from sunny South Africa to New York. He started experimenting increasing exposure to artificial light, and found this made a difference. In Alaska it has been established that there is a SAD rate of 8.9%, and an even greater rate of 24.9% for subsyndromal SAD. Good news! 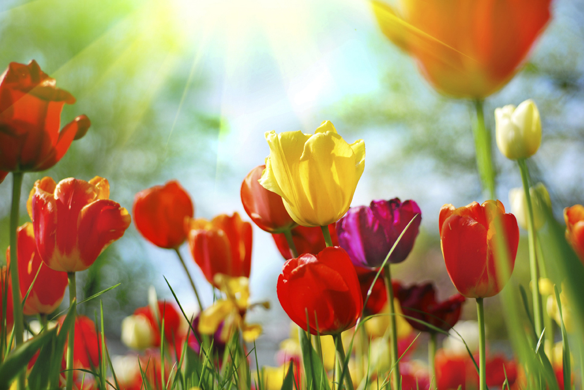 The vernal equinox or “first day of Spring” will occur on March 20th. What does this mean? That Spring brings increasing daylight, warming temperatures, and the rebirth of flora and fauna. 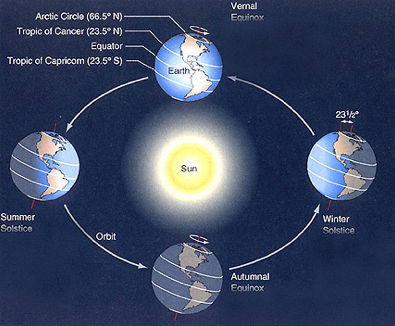 The word equinox is derived from the Latin words meaning “equal night.” Days and nights are approximately equal everywhere and the sunrises and sets due east and west. With warmer days just around the corner there is light at the end of the “dark” tunnel. In the meantime add some exercise to your day, eat more fish and get more light exposure. Language Associates specialize in Interpreting & Translation of 32 languages for over 30 years.